Herbert George Wells (1866 - 1946) was a prolific English writer of science fiction stories and novels, and is credited with being the father of science fiction. 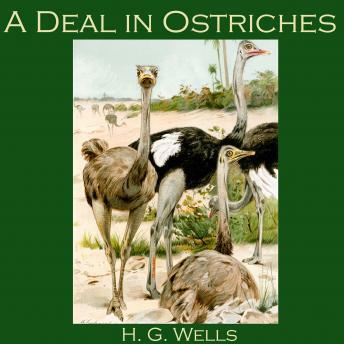 ""A Deal in Ostriches"" is an amusing tale about a situation on a ship returning from the Indies with several passengers and five ostriches on board. One of the ostriches swallows a valuable diamond - but nobody knows which bird it was. This leads to an auction of the ostriches, at which the bidding is frantic as the passengers calculate their chances for recovering the precious stone."